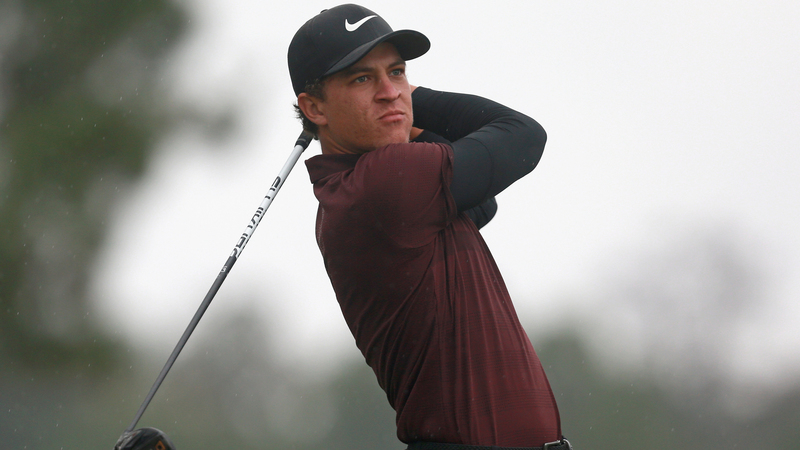 The Cameron Champ show has begun, and it only took two events. Champ won this week’s Sanderson Farms Championship by four strokes at 21 under using a final-round 4-under 68 to hold off a charging field. While Champ, 23, is a PGA Tour rookie, he enters the Tour with exceptional expectations. He averaged over 340 yards per drive last season on the Web.com Tour, and he’s shown poise in past major championship experience. Champ’s swing speed exceeds Tour average by over 10 mph and his effortless motion suggests he will have a long career mashing golf balls down the fairway. A star in the making. ? For Champ, the week started with an impressive 7-under 65, and he improved on that in Round 3 with an 8-under 64. Not only did he hit the ball long and straight, he also hit precise wedge shots and made clutch putts. Champ was tied for the lead midway through the back nine with Corey Conners, who ultimately finished second at 17 under, proving he has the poise to withstand a charge. Sam Burns and Carlos Ortiz tied for third at 15 under, and both of them are poised for promising futures as well. Ortiz shot an 8-under 64 Sunday to move up 16 spots. It’s hard to hype professional golfers because of the volatility in the sport, but Champ’s swing stats are unprecedented and his poise appears beyond his years.